TECNOGI S.r.l., with registered office at Via Dell’Artigianato, 9, 20865 Usmate Velate (MB) Italy, share capital € 100.000,00 fully paid-up REA [Economic and Administrative Registry]: MB –2500885, REA registration dated 09/28/2017, registered with the Companies Registry of Milano Monza Brianza Lodi under number 10047560965, VAT number 10047560965. 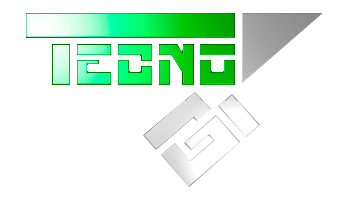 TECNOGI S.r.l. dedicates the maximum level of attention to the security and confidentiality of its Users’ Personal Data in the performance of its activities. The company is therefore the controller of the processing of the Personal Data collected on this website. The Personal Data collected by this Application, either independently or through third parties, include: Cookies, Usage Data, e-mails and names. Users assume responsibility for any third party Personal Data obtained, published or shared through this Application, and warrant that they have the right to communicate or disseminate them, thereby releasing the Data Controller from any liability towards third parties. The Data Controller will take appropriate security measures to prevent the unauthorised access, disclosure, modification or destruction of Personal Data. Processing is carried out using computers and/or telematic tools and organisational methods and logics that are strictly related to the identified purposes. In certain cases, in addition to the Data Controller, other parties involved in the organisation of this Application (administrative, commercial, marketing, legal or system administrators) or external parties (such as third party technical service providers, couriers, hosting providers, IT companies and communications agencies) appointed by the Data Controller may also have access to the Data. An updated list of Data Processors may be requested from the Data Controller at any time. It is always possible, however, to ask the Data Controller to clarify the actual legal basis for each processing, and in particular to specify whether the processing is based on the law, provided for in a contract or required in order to conclude a contract. The Data are processed at the Data Controller’s places of business and at any other place where the parties involved in the processing are located. For further information, please contact the Data Controller. Users’ Personal Data may be transferred to a country other than the one in which they are located. To obtain further information on the place of processing, Users may refer to the section on the details of the processing of Personal Data. Users have the right to obtain information on the legal basis for the transfer of Data outside the European Union or to an international organisation governed by public international law or consisting of two or more countries, such as the UN, and on the security measures taken by the Data Controller to protect the Data. If one of the above-mentioned transfers is made, Users may refer to the relevant sections of this document or request information from the Data Controller by using the contact details provided at the top of this document. Data are processed and stored for the period of time required for the purposes for which they were collected. Personal Data collected for purposes relating to the performance of a contract between the Data Controller and the User will be retained until performance of said contract has been completed. Personal Data collected for purposes relating to the lawful interests of the Data Controller will be retained until such time as said interests have been satisfied. Users may obtain further information on the lawful interests pursued by the Data Controller in the relevant sections of this document or by contacting the Data Controller. When processing is based on User consent, the Data Controller may retain the Personal Data for a longer period, until said consent is revoked. In addition, the Data Controller may be required to retain Personal Data for a longer period in accordance with a legal obligation or by order of an authority. The Personal Data will be deleted at the end of the storage period. Accordingly, on the expiry of said period, it will no longer be possible to exercise the right of access, deletion, rectification or Data portability. User Data are collected to enable the Data Controller to provide its services, as well as for the following purposes: statistics, contacting the User and interacting with social networks and external platforms. To obtain further detailed information on the purposes of the processing and the Personal Data specifically relevant for each purpose, Users may refer to the relevant sections of this document. When Users register on the mailing list or to receive the newsletter, their e-mail addresses are automatically included in a list of contacts to which e-mail messages containing information relating to this Application, including commercial and promotional information, may be sent. Users’ e-mail addresses may also be added to this list as a result of registering for this Application or after making a purchase. This Service makes it possible to interact with social networks or other external platforms directly from the pages of this Application. In any event, interactions and the information acquired from this Application are subject to the User’s privacy settings for each social network. If an interaction service is installed with social networks, it is possible that it will collect traffic data relating to the pages on which it is installed even if Users do not use the service. The LinkedIn button and social widgets are LinkedIn social networking services provided by LinkedIn Corporation. The Facebook “Like” button and social widgets are social networking services provided by Facebook, Inc.
Google+’s +1 button and social widgets are interaction services with the Google+ social network, and are provided by Google LLC. The YouTube button and social widgets are interaction services with the YouTube social network, and are provided by Google LLC. The services in this section enable the Data Controller to monitor and analyse traffic data and are used to keep track of Users’ behaviour. Google Analytics is a web analytics service provided by Google LLC (“Google”). Google uses the Personal Data collected for the purpose of tracking and examining the use of this Application and compiling reports and sharing them with other services developed by Google. Google may use Personal Data to contextualize and customize ads on its advertising network. This service makes it possible to view content hosted on external platforms directly from the pages of this Application and to interact with them. If a service of this kind is installed, it is possible that it will collect traffic data relating to the pages on which it is installed even if Users do not use the Service. Google Fonts is a font viewing service operated by Google LLC that allows this Application to integrate said content into its pages. YouTube is a video content viewing service managed by Google LLC that allows this Application to integrate said content into its pages. When using the plugin, WPML will share site data through the installer. No personal user data will be shared. The purpose of these services is to host and operate key components of this Application, thereby making it possible to deliver it from a single platform. These platforms provide the Data Controller with a wide range of tools, including analytical tools, for User registration management, comment and database management, e-commerce, payment processing, etc. The use of these tools involves the collection and processing of Personal Data. Some of these services operate through servers that are in different geographical locations. This makes it difficult to determine the exact place at which Personal Data is being stored. The Data Controller may only transfer Personal Data collected within the EU to third countries (that is, all non-EU countries) in accordance with a specific legal basis. These Data transfers are therefore carried out according to one of the legal bases described below. Users may request information from the Data Controller regarding the applicable legal basis that actually applies to each individual service. Users’ rights under the Privacy Shield are described in a continuously updated form on the website of the U.S. Department of Commerce. The transfer of Personal Data from the EU or Switzerland to the US to parties that are not (or are no longer) registered with the Privacy Shield is only admissible on another valid legal basis. Users may request information on these legal bases from the Data Controller. Where this is the legal basis, the transfer of Personal Data from the EU to third countries takes place on the basis of an adequacy decision adopted by the European Commission. The European Commission adopts adequacy decisions with regard to individual third countries it considers will ensure a level of protection of Personal Data comparable to that provided by European legislation on the protection of Personal Data. Users may view an updated list of adequacy decisions on the website of the European Commission. the transfer is necessary to protect the vital interests of the interested party or other persons where the interested party is physically or legally incapable of granting consent. In such cases, the Data Controller will inform the User of the legal basis applicable to the transfer through this Application. revoke their consent at any time.Users may revoke their consent to the processing of their Personal Data as set forth above. object to the processing of their Data.Users may object to the processing of their Data where it takes place on a legal basis other than consent. Further details on the right to object are provided in the section below. access their Data.Users have the right to obtain information on the Data processed by the Data Controller and on certain aspects of the processing, and to receive a copy of the Data processed. verify and request correction.Users may verify the correctness of their Data and request that they be updated or corrected. obtain restrictions on processing.When certain conditions are met, Users may request that the processing of their Data be restricted. In such a case, the Data Controller will not process the Data for purposes other than their storage. secure the deletion or removal of their Personal Data.When certain conditions are met, Users may request deletion of their Data by the Data Controller. receive their Data or have them transferred to another controller.Users have the right to receive their Data in a structured, commonly used format that can be read by an automatic device, and, where technically feasible, to secure the transfer of said Data to another controller without hindrance. This provision will apply in cases when the Data is processed using automated tools and the processing is based on the User’s consent, on a contract to which the User is a party or on contractual measures associated with it. to lodge a complaint.The User may lodge a complaint with the competent Data protection supervisory authority or take legal action. When Personal Data are processed in the public interest, in the exercise of public powers vested in the Data Controller or to pursue a legitimate interest of the Data Controller, Users have the right to object to the processing for reasons relating to their particular situation. Users are reminded that if their Data is processed for direct marketing purposes, they may object to the processing without providing any reason. To find out whether the Data Controller processes Data for direct marketing purposes, Users may refer to the respective sections of this document. In order to exercise their rights, Users may send a request to the Data Controller’s contact details identified in this document. Requests are filed free of charge and are processed by the Data Controller as soon as possible, in any event within one month. Users’ Personal Data may be used by the Data Controller in legal proceedings or in the preparatory phases of legal proceedings to defend against misuse of this Application or its related services by the User. The User declares that he or she is aware that the Data Controller may be required to disclose the Data by order of the public authorities. For operating and maintenance purposes, this Application and any third-party services used by it may collect system logs: that is, files that record interactions and which may also contain Personal Data such as a User’s IP address. Further information on the processing of Personal Data may be requested from the Data Controller at any time by using the contact details. This Application does not support “Do Not Track” requests. In order to discover whether any third party services that may be used support them, Users should refer to their privacy policies. Personal Data means any information that, directly or indirectly makes a natural person identified or identifiable, including in association with any other information, including a Personal identification number. This means information that is automatically collected through this Application (including by third party Applications integrated into this Application), including: IP addresses or domain names of computers used by Users who connect with this Application, addresses in URI (Uniform Resource Identifier) notation, the time of the request, the method used to forward the request to the server, the size of the file obtained in response, the numerical code indicating the status of the response from the server (successful, error, etc. ), the country of origin, the characteristics of the browser and operating system used by the visitor, the various time connotations of the visit (for example, the amount of time spent on each page) and details of the itinerary followed within the Application, with particular reference to the sequence of pages consulted, the parameters relating to the operating system and the User’s computer environment. An individual using this Application, who, unless otherwise specified, is the same as the Interested Party. The natural or legal person, public authority, agency or other body that, alone or jointly with others, determines the purposes and means of the processing of Personal Data and the instruments adopted, including security measures relating to the operation and use of this Application. Unless otherwise specified, the Data Controller is the owner of this Application. Unless otherwise stated, any reference in this document to the European Union will be deemed to extend to all current Member States of the European Union and the European Economic Area. Small amounts of Data stored on the User’s device.